We've recently heard a lot about the truck driver shortage and how it's expected to worsen in the upcoming years. The shortage can be almost directly correlated with the tremendous driver turnover in the industry. There are, of course, other factors that play into this and I'm going to touch on them as well. Trucking is the most satisfying job I've ever had. It's everything I thought it would be and more. But, and it's a big but, you must get through your first year. Trucking is hard work and I believe the stress of 10% of the job causes 80% of the turnover. 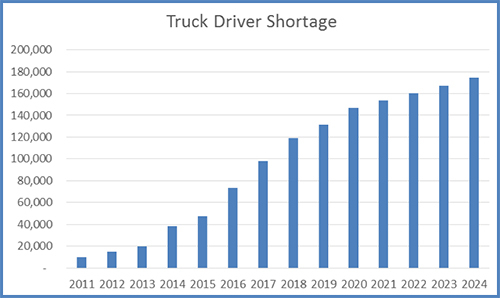 The truck driver shortage is real and it's only getting worse. In my opinion, too many companies mass manage. How many times have you gotten messages from fleet management about some mistake a trucker made, and all they tell you is not to do that again. That message is meant for maybe 10% of truckers out on the road. The 90% of the truckers adhering to standards just tune this stuff out. As a company, are they trying to reach the 10% of your troubled truckers with the mass messages? Or would it be prudent to individually manage that 10% and try to truly reach the other 90% constructively? Constant reminders of troubled truckers mistakes takes a toll on the trucker working hard and playing by the rules. There are certainly times that companies need to get the word out to everybody, especially when it comes to a job such as a trucker’s. With that being said, some more individual management is needed for everyone's well being and on the job peace of mind. Individual management takes time and certainly costs more money; but all companies need to worry about their bottom line or they won't be in business. As I stated earlier, it's less expensive to retain truckers than it is to just replace them. Individual management pays for itself over time. That's the kicker here, a lot of companies are just trying to keep their head above water with the trucker shortage. Time may be something they feel they don't have. But that’s what it’s going to take. Another possible solution I would like to talk about is to get a great new management plan in place. Oftentimes the line level managers don't understand the concepts of what upper management is trying to deliver, or worse yet, they seem to not care. When you get an unrealistic load delivery time and point it out to dispatch or your fleet manager, sometimes they may say, "Just work the plan Wayne, our computer shows it's doable." Or do they know your personalized record of making pickup and deliveries on time and trust your information and advice for a delivery time? I have found that to many times differences in the trucking industry are met with anger more than a constructive dialogue. Whether you are with a large company or small, every trucker wants to feel their worth; and more than just one week every year during Driver Appreciation Week. 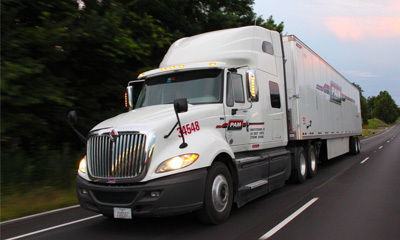 There are trucking companies out there with extremely low turnover rates. I read recently where a flatbed company with a turnover rate of under 10%. That's almost unbelievable! But then I read the message that the CEO gave in the interview about how they do it. He talked about how when a trucker complains or just has issues with the job, they listen, they treat the trucker as family and they don't fall into the industry standard line of "We will look into that," and then never follow up. They follow up, they discuss issues as a team and try to resolve the issue as a team. I'm sure at first this kind of management took time and certainly cost more money at first, but when they decreased their turnover rates, money used to recruit truckers could be shifted more towards individual management of retaining their truckers. Once again, it would be at a much lower cost than recruiting them. A happy, productive team always lends itself to bigger success. When problems do arise they can be met with a team approach of, "We can fix this, and how would it affect the team overall?" It's an important question to ask, but isn't being asked in the places it needs to be. I will be blogging more on the trucker shortage and some of my feelings on the issue. It’s a serious issue that needs to be talked about, and I look forward to expanding more. Wayne got his start in trucking by going through the Driver Solutions company paid CDL training program back in 2012. Since then, he has traveled over 300,000 safe miles and counting! The views and opinions expressed in this blog are not meant to be representative of those of Driver Solutions.